Sri Vidya Saraswati Devi is the Goddess of knowledge, arts and music. She is the river of consciousness that enlivens creation; she is the dawn-goddess whose rays dispel the darkness of ignorance. Without her there is only chaos and confusion. To realize her one must go beyond the pleasures of the senses and rejoice in the serenity of the spirit. 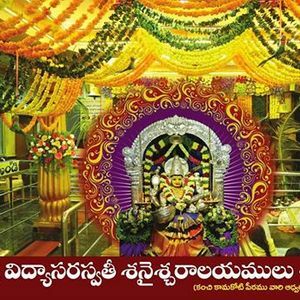 Moola Nakshatra is the birth star of Goddess Saraswati and on this auspicious day, Vishesha poojas are performed at Sri Vidya Saraaswathi Devi Temple, Wargal. These pooja include, Vishesha Panchamrutha Abhishekam , Laksha Namarchana to the Goddess with any of the articles pleasing to her like flowers, kumkum & dry fruits. 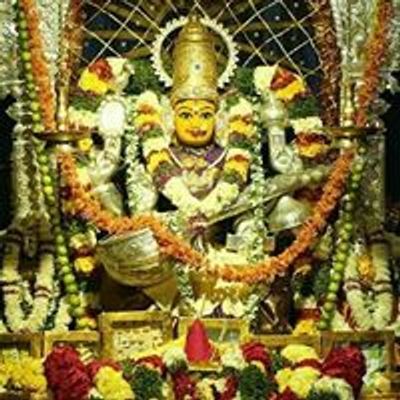 Chandi Homam is also performed on this day. 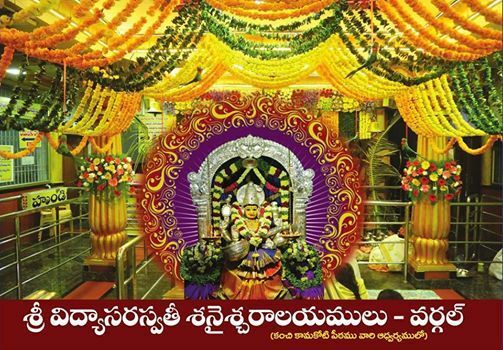 Devotees are invited to be part of this occasion and seek the blessings of Goddess Sri Vidya Saraswathi Devi. Anyone who is interested to get pooja done on their names (Abhishekam, Laksha Namarchana and Chandi Homam) can pay Rs200 through online via https://www.onlinesbi.com/ --> SB Collect Tab --> Fill in requisite details and you can transfer money from your bank.